The goal of undergraduate programs is to encourage the development of the individual's values and talents which may be employed in solving the problems of a complex society. Special emphasis is directed to the development of the student's capacity for independent judgment and creative thought. Undergraduate study combines both theory and practice to educate students and to prepare them for the world of work. Undergraduate degree-seeking students are those students admitted to an undergraduate degree program. The purpose of General Education at Governors State University is to prepare students to participate in a dynamic and diverse world. It provides students with a broad foundation of knowledge, facilitates social responsibility, and provides the practical and intellectual skills needed by capable citizens. This General Education foundation will integrate in-depth study in a specific area of interest and application to the wider world. The GSU General Education Student Learning Outcomes are organized into four areas suggested by the American Association of Colleges and Universities: foundational knowledge, practical skills, social responsibilities, and integrated learning. Each of these areas of development is explained in the learning outcomes outlined below. Define key terms related to human cultures and the physical and the natural world, both in historical and in contemporary settings. Describe the physical and the natural world and the boundaries and practices of human cultures. Identify current economic, biophysical, and social challenges. Demonstrate familiarity with diverse perspectives on complex scientific, social, economic, technological, or aesthetic challenges by constructing a cultural, political or technological argument in the form of a written project, laboratory report, exhibit, performance or community service design. Demonstrate understanding of at least two academic fields by applying the perspectives and literature of those fields and proposing a "best approach" solution to a complex question, problem, or challenge using evidence from those fields. Use relevant disciplinary conventions, including citation of sources. Demonstrate the ability to define an information need and then locate, retrieve, critically evaluate, and use that information. Demonstrate the ability to translate verbal problems into mathematical or logical language and the ability to construct valid arguments using the accepted symbolic system of mathematical reasoning. Construct quantitative analyses and evaluation of data. Use analytic inquiry and written, oral, and visual modes of communication to explain theories and approaches to problems. Generate evidentially-supported and well-developed arguments that reflect sound interpretations and analysis of social and ethical issues. Incorporate diverse evidence in multimodal projects, papers, or performances appropriate for a specified audience. Demonstrate the collaborative and cooperative practices needed to function effectively and responsibly in a diverse public square. Construct an individual or group project requiring assembling, arranging and reformulating ideas, concepts, designs or techniques. Demonstrate academic and intellectual honesty and an appreciation for lifelong learning. Demonstrate the ability to accept and act on constructive criticism. Demonstrate a commitment to an ecologically sound, socially just, and economically viable planet. Demonstrate an understanding and an appreciation of individual cultural perspectives, including non-Western and non-dominant ways of knowing. Explain diverse perspectives on contested ethical or policy issues. Evaluate insights and evidence on contested issues derived from a range of scholarly, cultural, and community perspectives. Frame a response to an ethical or policy question using scholarship from the student's major field of study and at least one other discipline. Collaborate in developing, implementing, and evaluating a community-based project. Frame a complex scientific, social, technological, economic, or aesthetic challenge or problem. Respond to the problem with a summative project, paper, or practice-based performance that draws on current research, scholarship and/or techniques in the student's major field and incorporating information from at least two disciplines. Freshman year at Governors State University is designed to provide a foundation upon which to build, both during college and for life after GSU. As part of a challenging academic community, the freshmen year experience is designed to teach strategies and skills for critical thinking and to instill confidence in the use of those abilities as a student and as a member of a diverse community. During the first and second years all students are assigned to classes within the theme. Each theme incorporates values-based education, explores various careers and encourages students to take a world view in the selection of a college major. Civic Engagement: The founders of our nation had some big ideas. Students in this theme group will dig deep into those ideas and learn more about what democracy means. Courses will focus on the value of human dignity, tolerance, justice, ethical integrity and freedom. Students will develop important skills in thinking critically, deliberating and making collaborative decisions about important questions. Additionally, students will develop the ability for moral discernment, civility, compromise and mutual respect for others. Global Citizenship: Ours is a diverse, interconnected world. Students in this theme group will look into the forces that drive both collaboration and conflict among nations. Students will study the global influences that explain how we all work together - or not - including social, technological and environment trends. Sustainability: We all have a role in protecting the health and vitality of the planet. Students in this theme group will concentrate on important issues that will prepare them for that role. Students will learn what it means to be responsible in how we manage our resources. Additionally, students will also look into the environmental, economic and social implications of what it takes to be a good steward. No matter the theme group, there is more built into the first year to help freshman students succeed. Classes are small. Only 90 students in each of the three theme course groups, with 30 students in most classes. All first year classes are taught by experienced faculty members. fulfill the writing intensive course requirement as specified in Policy 48, Writing Across the Curriculum. Majors may have additional general education requirements as approved through curriculum approval and which are listed in the catalog. Social and Behavioral Sciences: Three courses (9 semester hours) from at least two disciplines. Social and Behavioral Sciences: three courses (9 semester hours) with courses selected from at least two disciplines. * For colleges and universities on the quarter calendar system, three (3) quarter credits equal two (2) semester hours. Transfer to Governors State University having earned an Associate of Arts (A.A.) or Associate of Science (A.S.) degree from a regionally-accredited Illinois community college. The Associate of Fine Arts (A.F.A. ), Associate of Engineering Sciences (A.E.S. ), and the Associate of Applied Science (A.A.S.) do not meet this requirement. Complete the Illinois Articulation Initiative General Education Core Curriculum (GECC) at another institution and have it noted on the transcript. 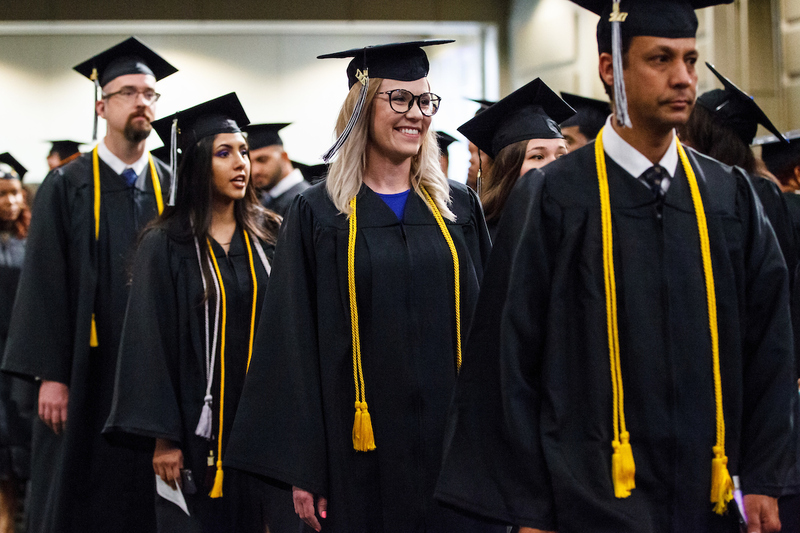 To minimize transfer problems for students, Governors State University and area community colleges have developed articulation agreements that help students plan bachelor's degree programs beginning at the community college and finishing at Governors State University. These agreements assure smooth transition from lower-division study to upper-division study and completion of a bachelor's degree. GSU also participates in the Illinois Articulation Initiative (IAI). The General Education Core Curriculum (GECC) is accepted to meet general education requirements. In addition, GSU accepts the Major Panel recommendations for transfer. Students will receive credit for those courses recommended by the panels and successfully completed. The complete list of general education courses are found on the General Education Courses page of this catalog. Be sure to check with your academic advisor when selecting courses to meet the various General Education requirements. A study plan is an agreement developed in collaboration with an academic advisor for a student's degree completion at GSU and informs the student of the recommended sequence of required courses. Every degree-seeking student is required to develop a student study plan during the first term of enrollment. Students who do not complete a study plan during the first term of enrollment may be precluded from further registration as degree seeking students, until a study plan is completed. The student study plan for the degree sought will detail the requirements which are in effect at the time of admission as a degree-seeking student. These requirements will remain unchanged as long as a student's enrollment in the program has not been interrupted by more than three (3) terms, unless substitutions need to be made due to curriculum change. For transfer students, the study plan will specify the amount of transfer credit, proficiency credit, and credit for experiential learning applied toward the degree requirements; the total credit-hour requirements for the degree; and required and elective courses. After admission into a degree program, a new study plan must be developed. The academic advisor must approve acceptance of additional transfer credit from another regionally accredited institution, or modification to the study plan. When a student changes majors or is readmitted, a new study plan must be developed and approved with the new academic advisor. Study plans are required for minors and certificates. 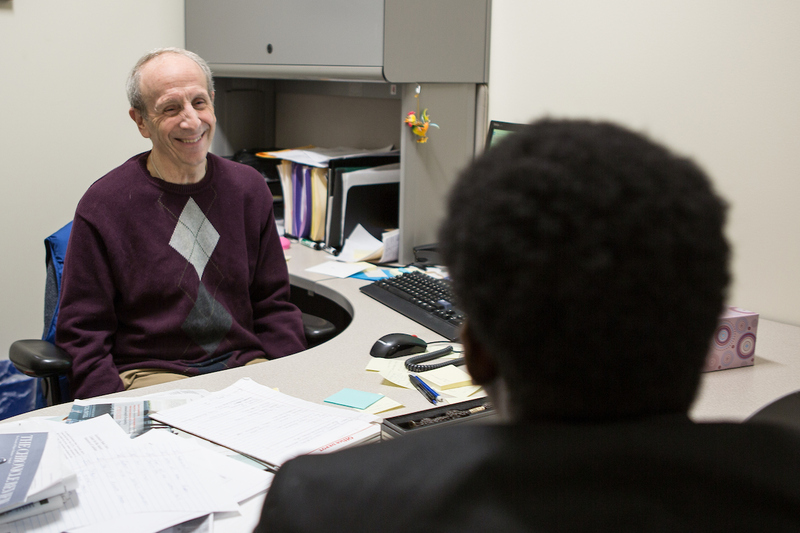 Students are encouraged to contact faculty members in specific discipline areas in which they have interests for additional academic advisement. Students choosing to take courses not specified in their study plan may find that such credit may not apply toward the degree requirements. Research, combined with the experience of numerous colleges and universities, makes a convincing case that a thorough orientation for students of all ages leads to a greater probability of their success and ultimate graduation. Attending orientation helps students transition to a new educational institution. Orientation programs provide students with the information and services necessary to be a successful student at Governors State University. The orientation cycle begins in early January before the start of the Spring semester and culminates with the University's Convocation program at the end of August. For dates for the mandatory orientation for first year students and transfer/graduate students dates contact the Coordinator of New Student Programs at 708.235.6819 or visit www.govst.edu/orientation. Each undergraduate degree program includes a major, and in some cases, a concentration, teaching concentration, or minor. While recognizing academic excellence, the University Honors Program is designed to give undergraduate students an opportunity to pursue an enriched education while attending Governors State University. In so doing, honors students develop greater depth within their academic major by completing advanced work within their existing curriculum. Additionally, honors students obtain greater breadth by taking an interdisciplinary honors seminar in which guest speakers from across the university's campus address a common integrative theme. Having been exposed to a rich diversity of academic perspectives, students then complete projects relevant to their academic majors. Lastly, students work on their final honors project in cooperation with a faculty mentor. an honors thesis/project/internship which is completed under the supervision of a faculty mentor. Beyond the above enriched academic program, honors students also have the combined benefits of a speaker's series, the support and guidance of a faculty mentor, participation in special social events, and membership in a community of scholars and learners. This will be reflected on the student transcripts. For more information, contact an academic advisor or the office of the director of the University Honors Program at drhea@govst.edu or 708-534-4392. Students are responsible for knowing the degree requirements for their major and enrolling in courses that meet those degree requirements. Complete a minimum of 120 credit hours, including lower division credit hours for admission and any transfer credit accepted toward the degree requirements. Complete a minimum of 40 upper division credit hours, including any upper division transfer credit accepted toward the degree requirements. In rare circumstances, a program may have a minimum of fewer than 40 upper division credit hours. Program exceptions must be in compliance with Illinois Board of Higher Education policy, be reviewed and recommended by the appropriate Faculty Senate committees, and be approved by the President. Satisfy Policy 51, University General Education Requirement. Satisfy Policy 28, Residency Requirements Policy. Demonstrate that all degree requirements have been met as defined in the student's study plan approved in the college. Be in academic good standing. Meet all financial obligations to the university. Complete the collegial and university procedures that cover implementation of the above requirements. Apply to degree requirements no more than 18 credit-hours earned as an undeclared student. Apply to degree requirements no more than 12 credit-hours earned in the pass/no credit grading option. Apply to degree requirements no more than nine credit-hours earned in independent studies. The following requirements apply to courses being transferred from colleges and universities accredited by regional accrediting agencies. Students seeking to apply transfer credit from non-accredited institutions toward degree requirements must petition the dean of the college in which the major is offered. Transfer credits that are accepted toward degree requirements will be entered in the student study plan. The decision to accept transfer credit toward degree requirements should be made before the student enrolls at GSU, but in any event is to be made no later than the first term of enrollment by the academic advisor when the student study plan is developed, in accordance to the student study plan policy. The student study plan will detail the requirements for the degree, including the number of transfer credits accepted toward the requirements. No more than 75 semester hours of lower division credit will be applied toward degree requirements. Ordinarily only credits earned with a grade of "C" or better or "P" (Pass) will be considered for transfer credit at the lower division level. Credits with grades of "D" may be considered for transfer if the cumulative grade point average for transfer credit is at least 2.00 (on a 4.00 scale) or if the credit was accepted for the associate of arts or associate of science degree. The credits will be evaluated based on the established articulation agreements, the Illinois Articulation Agreement (IAI), or course-by-course evaluation. Credits earned at the upper division level are applied toward specific degree requirements on a course-by-course basis by the academic advisor. Only work completed with a grade of "C" or better or "P" (Pass) will be considered for upper division transfer credit, satisfactory completion of a course prerequisite, or co-requisite. Transfer credit applied to meet university general education requirements, at the lower division or upper division level, must have a grade of "C" or better, unless the "D" was accepted for the associate of arts or associate of science degree. Refer to the General Education Policy for additional information. Upon approval of the provost, individual degree programs may establish published requirements on transfer credit limiting the time period within which specific course credit must have been earned in order to be applied toward degree requirements. NOTE: No more than 18 credit-hours earned as an undeclared student may be applied toward degree requirements. After admission to a degree program, additional transfer credit will not be accepted from another regionally accredited institution unless permission to apply such credit toward degree requirements was obtained from the academic advisor and approved by the dean prior to taking the course(s) at another institution. Only courses with grades of "C" or better will be accepted in transfer after matriculation to a degree program. Undergraduate students who maintain a minimum cumulative grade point average of 2.0 are in good standing. Students must be in academic good standing to graduate. Governors State University recognizes that today's successful graduates must be excellent communicators. To ensure that GSU graduates meet this standard of excellence, the university has developed a program that emphasizes written and oral communication in each degree area. Known as Writing Across the Curriculum (WAC, Policy 48), this program allows faculty and students to use writing as a vehicle for learning. WAC applies the most current knowledge from education and composition studies to a variety of specially designated courses that help students master the language conventions used by members of given fields. This mastery is a key factor not only in academic success, but also in professional success after graduation. Students are required to complete at least one writing intensive course for each level of student standing (freshman, sophomore, junior, and senior) before receiving a bachelor's degree. Program advisors can provide information on which courses in the program qualify as WAC courses. All undergraduate degree-seeking students are required to earn a minimum of 24 credit-hours of course work from Governors State University prior to the award of each degree sought. Governors State University recognizes that computer and information technologies are integral features of our culture and that mastery of basic technology is essential for success in school and the workplace. See Appendix for policy on Technology Outcomes for Students. Various academic divisions within the university offer minors available to degree-seeking students who wish to pursue organized course work in addition to their major field of study. A Governors State University minor consists of a minimum of 18 credit hours. Colleges may establish additional published requirements beyond those listed for individual minors. Meet all university and collegial requirements for the baccalaureate degree. Apply for the minor and develop a study plan with the faculty advisor. Transfer courses should be submitted to the minor advisor for approval prior to the term in which graduation is intended. Complete the specific course requirements for the minor as described in the catalog and detailed in a study plan approved by an advisor in the minor discipline. Credit hours may count toward both a major and a minor, provided they are accepted on both study plans. Earn at least 1/2 of the required credit hours for the minor from Governors State University. Individual programs may require a greater portion of credit hours to be completed at Governors State University. Additionally, ½ of the required credit hours for the minor must be earned through courses numbered at the 3000 or above level. Apply for the completion of the minor at the time of major degree completion by submitting an approved student study plan for each minor with the application for graduation. Remove all grades of incomplete ("I" or "E") by the graduation processing date. Complete the collegial and university procedures which cover implementation of the above requirements. Applying and being admitted to the undergraduate degree program. Meeting requirements of the University Residency Policy for the subsequent degree. Hours applied toward the first degree may not be included in hours required to meet residency requirements. Completing all requirements of the subsequent degree program as stipulated in the student study plan. Meeting university, college/school and/or major degree requirements for the subsequent degree. A student who is interested in a particular course(s) but does not wish to take it for credit may audit the course(s). All attendance and work is voluntary. A student may register to audit a course during the registration period upon paying the required fee and obtaining the instructor's approval. Audit registrations do not appear on the academic transcript. A change from audit to credit registration or from credit to audit registration must be made during the registration period. Veterans and other eligible persons cannot be certified for audited courses per 38 CFR 21.4252(i) of the code of federal regulations. Degree-seeking and Undeclared students who wish to change their major and/or concentration must complete the appropriate forms available on the web or in the Registrar's Office. Students who change their course of study are subject to any special admission and degree requirements in effect for the new major and/or concentration at the time of the change.